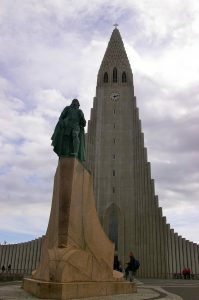 If you are arriving to Reykjavik early or extending your visit after a Boundless Journeys Iceland tour concludes, there is enough to keep you busy in this small, compact city for a leisurely 2 days. The two main streets in the city are Laugavegur and Skólavörðustígur. Laugavegur is one of the oldest shopping streets in Reykjavík and literally translates to “wash road” because it once led to the great old hot-springs in Laugardalur where the entire city’s washing was once done! Its popularity with locals and tourists is mainly for the prestigious shops and exclusive stores, and in the evenings, the street’s many bars and restaurants open. Skólavörðustígur is one of the most attractive streets in Reykjavík running from Laugavegur up to the magnificent church of Hallgrímskirkja (take the elevator to the top of the tower for a 360-degree view of the city). 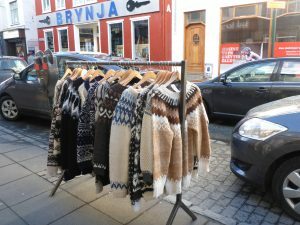 The street has charming old houses with stores and galleries where you can find everything from Scandinavian-style household goods, souvenirs, and fine woolen products to cafes and delis. For a different type of shopping experience, head to the indoor flea market down by the harbor, a fun way to mix with locals. 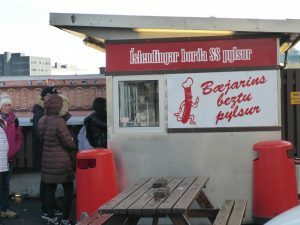 Plus, practically next door to the flea market is the famous Reykjavik hot dog stand—well-known for its exceptional “loaded” hot dogs. What makes them so good? They’re made with Icelandic lamb, primarily, and some Icelandic pork and beef. These animals freely roam the countryside munching happily on fresh grass, which makes for a truly gourmet and tasty hot dog, served with sweet brown mustard, relish, and a mayonnaise-based sauce. Just order it loaded—you won’t be disappointed. Enjoy museums? There are a few you can explore, including the Reykjavik Art Museum; the National Museum of Iceland, which exhibits a fascinating collection of artifacts that tell the story of Iceland’s history and heritage from the Settlement Age to the present; and the Settlement Exhibition, which is built around the ruins of a Viking longhouse excavated below street level. In the summer, there is always something going on. Check out the Reykjavik event calendar. 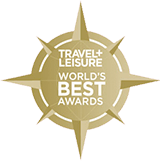 While our Northern Lights Adventure includes a trip to the Blue Lagoon, our summer tour does not, so if you would like to go, your best bet is to go directly from the airport, as it is midway between the airport and downtown Reykjavik, plus, your room may not be ready for a few hours after your early morning arrival. It’s a wonderfully relaxing experience after an overnight flight. You can book the Flybus and Blue Lagoon combo ticket. 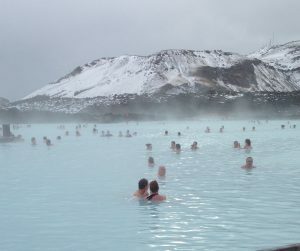 You might also enjoy a visit to Laugardalslaug Thermal Pools. The complex houses a 50-meter outdoor pool, two water slides, numerous “hot pots” (Jacuzzis), and a thermal steam bath. An all-day pass to Laugardalslaug costs approximately $2.50 (locker rental is included in the price). If the weather is cooperative, you may want to reserve a whale-watching tour from the harbor, or the free (contribution only) 2-hour city tour (our Northern Lights Adventure includes a city tour). Another option is a bike or Segway tour with Iceland Bike. If you contact them, let the owner, Stefan, know that we referred you! For a city of just about 200,000, Reykjavik has a surprisingly cosmopolitan restaurant scene. There are many choices, and simply wandering the streets will likely lead you to a delightful hidden gem. The following are just a few recommendations for your pre- or post-tour time in Reykjavik in rough order from most expensive to least. Reservations are typically recommended. Cuisine in Iceland is varied, creative, and delicious. One of the most exquisite restaurants in Iceland with highly unusual architecture, The “Pearl” rests on six huge storage tanks, each with a capacity of 4 million liters of geothermal hot water. The restaurant is on the top floor, which slowly rotates, affording a magnificent panorama of Reykjavík and surroundings as you dine. Argentina Steakhouse has been one of the most popular restaurants in Iceland for the past 20 years. Icelandic beef, lamb, lobster and other seafood are the most popular courses, charcoal grilled right in the dining room. Influences from Northern Italy combined with local Icelandic produce creates a unique menu featuring homemade pastas, risotto, gnocchi, polenta, a wide variety of the freshest vegetables, fish, and meat. In addition, a comprehensive, exclusively Italian wine list provides the perfect complements to any meal. A comfortable and attractive restaurant located on Laugavegur street in the heart of the shopping district, Ítalía specializes in Italian cuisine, and their wood-fired oven pizzas and pasta dishes are well known among Icelanders. Geysir Bistro is a cozy restaurant offering a great selection of dishes for a reasonable price. The interior of Geysir Bistro is casual and fun, with beautiful wooden floors and brightly colored sofas. Icelandic Fish and Chips is an organic bistro serving traditional dishes in a new way. Their batter is made from spelt and barley, giving it a unique lightness and crispiness, as well as health benefits from the more complex carbohydrates in such grains. The bistro serves only the freshest fish and uses only the best organic ingredients for their dishes.